Home is being offered in as-is condition, cash only purchase, seller does not own yet, please call listing agent for questions, please make sure offer includes proof of funds, please confirm chosen attorney is comfortable with transaction or get a list of qualified attorneys from listing agent. MLS#3499385. Southern Home Group LLC. Owner has pier permit to construct pier, attached layout of permit for pier construction MLS#3499011. Jones Property Management & Realty Inc.
Neel Estates - Additional parcel could be used for many things. MLS#3496400. Betty S. Grubb Realty. 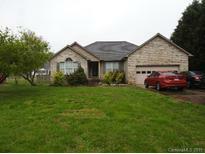 Brick front home with nice level lot. MLS#3498610. S and B Properties of NC Inc.
Olde Salisbury - 3 years old, HVAC was replaced in 2012. MLS#3498471. Dazcon Properties.